Drugovi i drugarice po zvuku, pozvani ste na promociju dva nova albuma pisana od strane dva izuzetno talentovana umetnika, malo je reći veoma tražena od strane planetarne publike. uz podršku stare škole u mehanizovanom klubu TASH MACHINE 15. decembra '17te. Datum: Petak, 15 Decembar 2017. Ilai is an Italian dj, known in most part of the globe. He was born on September 1987 in Padova, Italy, where he still lives. From a very young age he had a great passion for music and when was just 12 he was interested by electronics rhythms. At the age of 16 he had his first experience as a Dj at small events and clubs. In 2005 he started producing his own music simply as “Ilai”, where he released his first tracks in 2008. From that period he started to play on some of the biggest events in Italy and other countries. One of his first track is called “Psychedelic Answer” that immediately give the impression of his style – phat bass, embracing groove and psychedelic melodies are the words that best describe his music. In 2010 Ilai finished his first EP called "Impulse" successfully released on 24/7 Rec. –a well known electronic label – with great response. With a series of releases and collaborations with a lot of artists such as Materia, Dust, M-Theory, Mental Broadcast and many more, he has become one of the artists most in demand in that ambient. One year later his first album burst on the scene. Given that, ILAI - END OF TIME , released on the renowned “24/7 Records”, gave a meaningful hint on the creative potential of this artist. Also as DJ he is constantly rocking the dancefloors whenever he gets behind the decks. 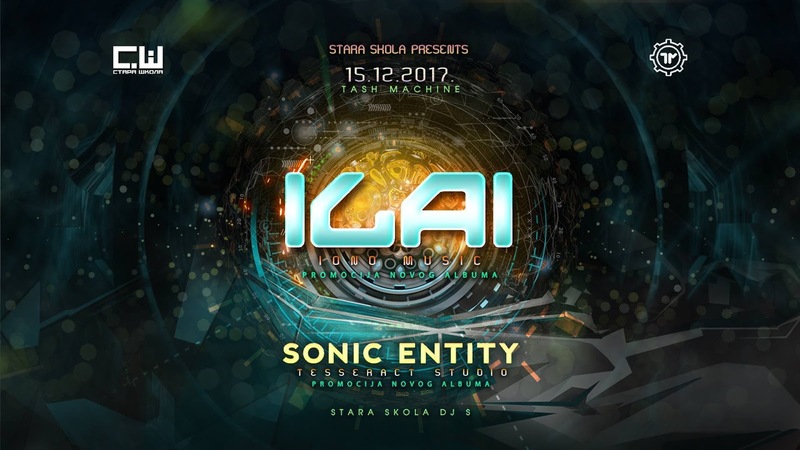 With a driven approach towards sculpting a new range of psychedelic progressive trance music, Ilai has been full time producing music for almost 1 year, and releases his second album "NEW TOMORROWS" again with 24/7 Records in 2013. He has also collaborated, remixed and been remixed by top international artists including U-Reken, Zen Mechanics, Ital, Sinerider, M-theory – just to mention the latest ones. Rather than following the current trends, Ilai has placed himself squarely at the forefront of the evolution of psychedelic trance music. 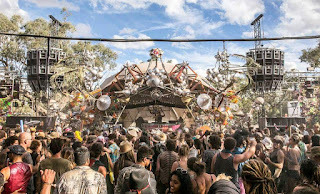 Slickly drawing from the best elements of a variety of musical genres – as progressive and techno – Ilai is undoubtedly one of the most exciting acts to emerged in recent years. Whether as a DJ mesmerized by his latest release or a dancer caught in the wake of his music pulsating through the speakers, the future will see countless listeners continue thrilled and spellbound by his works. Sonic Entity is Nikola Gasic from Belgrade, Serbia. After a decade of involvement within Progressive and Psychedelic scene, Nikola started music production in the year 2008 and after few years of hard work, he released his first EP's in 2011. His debut album "Twister" was released in summer 2012 on Yellow Sunshine Explosion and brought a lot of attention to Nikola, who continued his hard work and released several EP's in next 2 years on labels such as Iono Music, TesseracTstudio, Echoes Records and others. As he had a long history with psytrance and as he very quickly adopted new techniques in music production, Nikola has released his 2nd studio album in February 2015 under the name "Altered Fiction" on renowned psy-progressive label TesseracTstudio, which recognized his high-quality sound and became his home label soon after. Wtih this album, Nikola already established his recognizable psy-progressive sound which consists of strong bass-line, multicolored melodies and rich atmospheres, being great at any time of the day or night, either in open air or club. In 2016 Nikola released single "Dreamcatcher" which was one of his most played tracks and in 2017 he joined forces with Zyce and created "Tidal" - a single that was for quite some time number 6 on Psytrance Top100 charts! For the last few years, Nikola has became a standard part of some of the largest festivals and he played at Psyfi, Psychedelic Circus, Maitreya, Hadra, Shankra Festival and many others. His 3rd studio album called ''Primal Visions'' have been released in November on Tesseract Studio.